We have taken our cats to the Waterside Mill cattery many times and we have always found Theresa courteous and efficient. She cares for the cats and takes a special interest in every one. One of our cats is diabetic and Theresa is prepared to give her insulin injections twice a day. She will even groon the cats if they need it. And there are geese and swans and peacocks for the cats to enjoy though the glass. 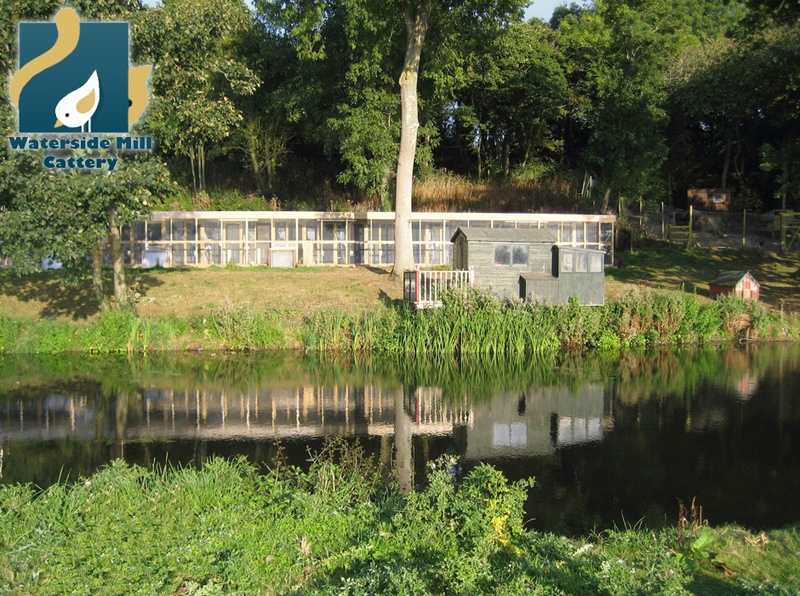 Waterside Mill Boarding Cattery is an excellent cattery which is very clean and cosy for the cats. Theresa is a very caring person who gives a lot of time to her 'guests'. My cat is very happy to stay with her and I have no hesitation in recommending Waterside Mill to any cat lover. We have been bringing ‘Purdie’ since Waterside opened. Theresa is always friendly and very accommodating, she always has time to settle Purdie in and make her feel at home. This year we have a new edition ‘Kakie’ who we know will get all the attention needed to make her feel welcome, it is a comfort to know they get cuddles too! My Wife and I have just returned from a 14 day holiday and at the same time our two cats, Arnie & Annie, have enjoyed a two week holiday with Theresa at Waterside Mill. The cattery is relatively new but the care and attention given to our cats is second to none, the kennels are spacious, kept spotlessly clean and enjoy a wonderful sunny outlook across the duck pond. Arnie and Annie always look well on their return from the cattery and this is definitely the best cattery we have come across in the 24 years we have lived in Taunton. Well done Theresa, but don’t get too popular so that we can’t bring Arnie and Annie to you while we are away on holiday in the future! !